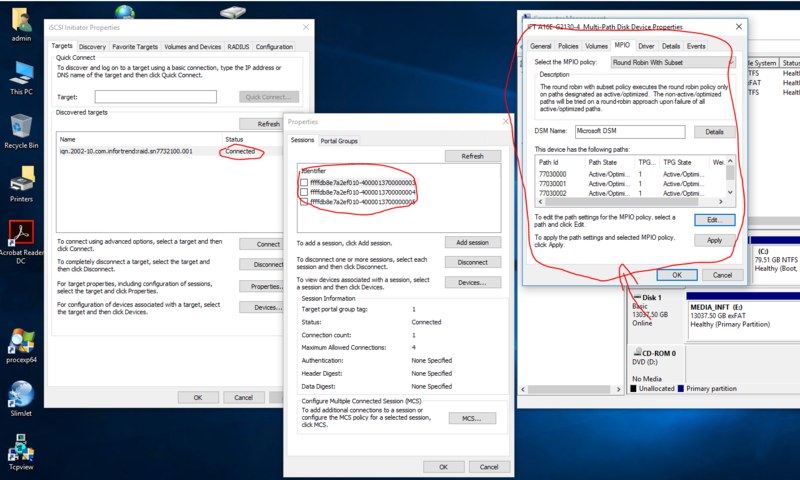 I tried Multipath on Windows 10 2 months ago, same way, but it didn’t even work, it just connected the same iSCSI drive multiple times to my Win10 client, no MPIO.. Windows Server to Windows Server works fine so I think MPIO is broken anyways on Win10. So why leave this post here if this doesn’t work, unless it’s meant to be obvious clickbait? I try not to remove my posts even when I’m wrong. Thanks for not removing the post… it answered a question for me. Win10 does not support MPIO. I probably could’ve found it elsewhere but was looking in the context of iSCSI and this is what popped up. 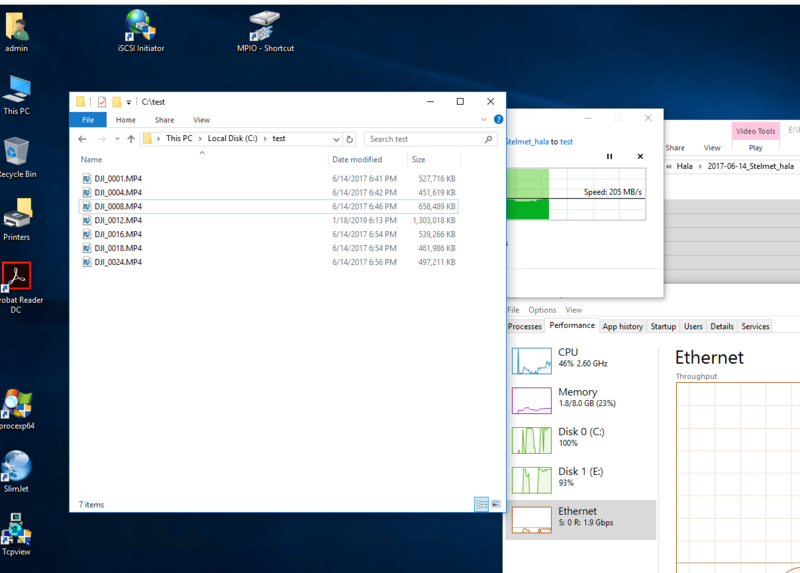 Basing on this tutorial https://www.synology.com/en-global/knowledgebase/DSM/tutorial/Virtualization/How_to_Use_iSCSI_Targets_on_Windows_Computers_with_Multipath_I_O should be installed additional feature on windows which is not available on Windows 10. 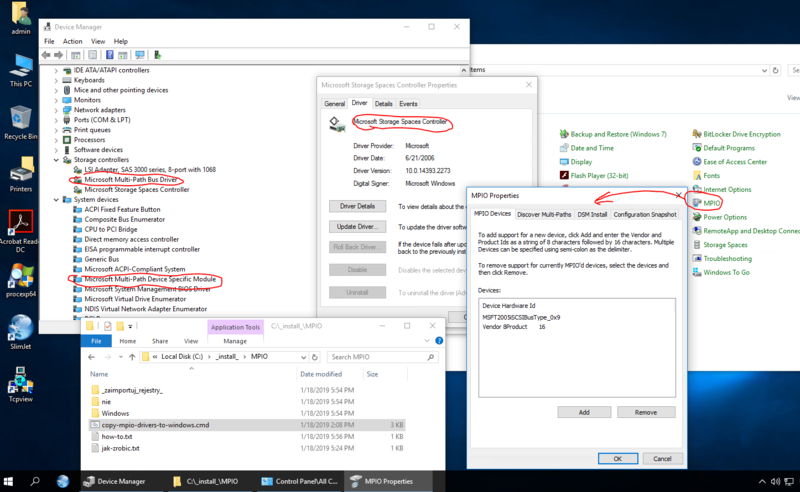 I managed to “transplant” MPIO and msdsm driver from Windows 2019 to Windows 10 Pro (1709, 1803 and 1809) with success. The method needs to import some registry, copy necessary files into original place and manually check update for drivers. How-to and script+files+registry are located inside zip file (link below). Beware!!! Backup first and this “mod” is for test/educational purpose only. You do it at your own risk and take the responsibility upon yourself and you are not to blame me. After done all steps as explaned, it does not speed up.